Part Number 8200/8245 – A Performance Programmer for Buick, Chevrolet, GMC, Pontiac, and More! Upgrade your horsepower in minutes with our inTune i3 performance programmer. It is easy to install and plugs right into your vehicle’s OBD-II port. Our tuning team maps out all of the i3’s tunes for your exact car or truck. Our goal is to make the biggest power gain, with the largest choice of performance options. The i3 features the latest electronics too; find out more about what makes the i3 the best handheld tuner available today! THE LEADERS IN TUNING FOR LS AND DURAMAX! 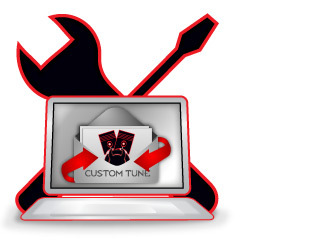 We have offered tuners for late model GM cars and trucks for over 15 years! The i3 performance programmer continues our tradition of making big power and economy gains that are easy to install. The i3 lets you take control of your vehicle like never before, for any LS power plant made from 1999 or newer and any Duramax from 2001 up to 2010. Whether you have a high horsepower Camaro, or a stock Sierra truck, the i3 is a perfect way to upgrade your performance and fuel economy in minutes! Our new inTune i3 allow you to tune more than one vehicle by purchasing a tuning license. If you have the 8200 for your 2015 Chevrolet Camaro, but you also want to tune your 2014 GMC Sierra, you can get a license that lets you to tune both at the same time! If you have popular performance mods on your GM vehicle like cold air intakes, exhaust, heads, cams, or even superchargers, the i3 gives you options to take control of your tune. Whether you want to tweak the tune yourself, or bring it to a professional tuner, the i3 has you covered no matter how aggressive your build is!